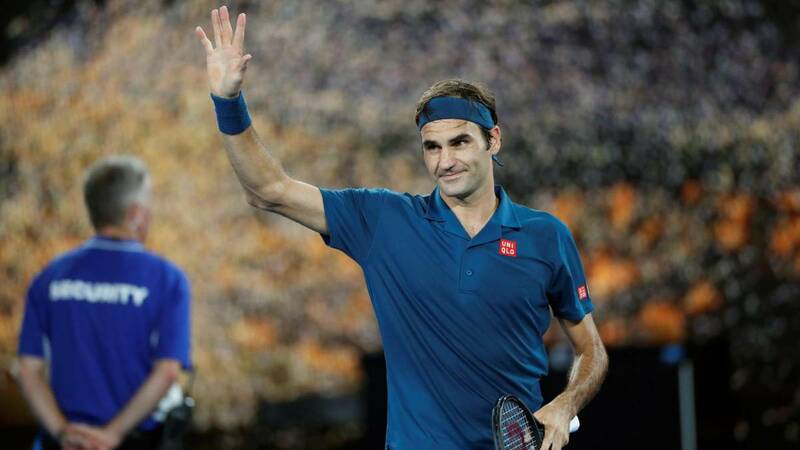 Roger Federer started at full speed ahead of Taylor Fritz (he won 5-1 in 15 minutes) and for the 17th time in the round of the Australian tournament. Roger Federer goes almost to record per day. The Swiss has reached another notable mark this Friday: his 100th match at the Australian Open (97-13) . And he has done it with an incontestable victory against Taylor Fritz, a boy 16 years younger than him (37-21): 6-2, 7-5 and 6-2 in 1h: 28 in the third shortest match of the tournament, after Berdych-Haase (1h: 19) and Monfils-Dzumhur (1h: 25) . El Helvetica did not want to happen the same as before Daniel Evans, when he had to win the first two sets in two separate playoffs, and came out to bite from the start. So much so that at 15 minutes and won by 5-1 and resolved the first part in 20. With a very fine balance of 34 winning shots and 14 unforced errors, desarbolo based on class to Fritz, who did not play especially bad He was simply in front of a big one and could not hurt him, except in some moments of the second set when he kept the guy. Federer applied himself as usual on the net (15/18) and did just enough to not sweat too much and pass Little time on track. "I knew that Fritz's threat could come at the beginning, that's why I started strong," he said at the end, before making a curious reflection on the youngsters and their next rival, the 20-year-old Greek Stefanos Tsitsipas : "In tennis now there are not many volleys and he likes to go up to the net, so he's going to set an interesting match" . It will be this Sunday in eighths.